This Was 2014 for the Forex Industry - Best Stories of the Year! This Was 2014 for the Forex Industry – Best Stories of the Year! As 2014 is winding down and the next year is just about to break, we wanted to present our readers with the most influential stories that made the most impact in the online trading industry over the past year. The stories that were most popular during 2014 include big names such as FXCM, GAIN Capital, Plus500, OANDA, Alpari and IronFX but also issues not at the heart of forex such as the HFT scandal. This year we have seen: binary options and forex brokers pay millions for sports sponsorships around the world – mainly targeting Asia; a major service provider for the industry going public on the London Stock Exchange and mergers and acquisitions totalling well over a $100 million. You can notice a number of trends that stand out among the most popular stories. MetaQuotes kept changing the way MT4 works with third parties in order to promote its own services, thus leading to brokers leaving the platform. The Chinese media is focusing more and more on forex trading, and brokers are being forced to raise their standards to remain positive in the public eye in the world’s most populous nation. The consolidation trend in the industry continues with large brokers buying the business of smaller ones and cross investments between brokers and technology developers. On the sidelines of the forex industry, digital currencies are increasing their importance to investors and trying to integrate into established trading systems. 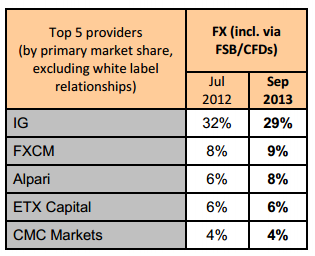 Alpari, FXCM and Plus500 Increased UK Market Share – A study found that 85,000 people in the UK used financial spread betting during 2013, a net decrease of 8% from 2012. This finding presented the first contraction in the size of the market since 2009. The report found that the contraction in spread betting was driven mainly by a decrease in the number of new traders, while the number of traders going dormant remained largely unchanged. Does Anyone Make Money in the FX Market? 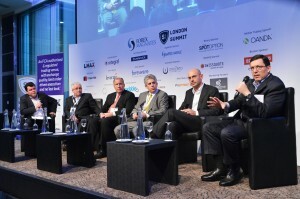 Participants of the London Summit 2013 Buyside Panel answered unanimously that in FX, close to 100% of volumes are speculative. 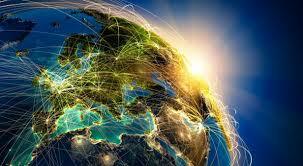 However, alluded to during the panel was the question of whether anyone is making any money in FX trading. When it comes to retail investors, Forex Magnates’ Quarterly US Profitability Reports show that around 65% of all US customers experience losses in their accounts every quarter. However, even beyond the retail segment, panellists pointed out the difficulties among professional traders in FX, especially among fund managers, among which the industry’s longest lasting fund, FX Concepts, closed its business during Q4 2013. Binary Options Canadian Crackdown – After briefly explaining binary options and certain risks and features involved in these types of products, the British Columbia Securities Commission explained that, while some binary options are listed on exchanges and traded by registered individuals, these represent only a portion of the market. Its concern is that a large portion of binary options are illegally traded through unregistered and unregulated online trading platforms. 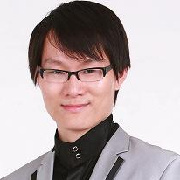 Huobi CEO Responds to MT.GOX Situation – In an exclusive first ever interview, Leon Li, the CEO and founder of Huobi, the largest bitcoin exchange in the world at that time, shared his views on digital currencies with Forex Magnates, and the conversation naturally evolved around the crises at MT.GOX. As well, he shared his thoughts on the reasons for Huobi having the highest trading volumes globally, as well as his international expansion plans. Plans to add currencies to the Chinese exchange such as Dogecoin, Litecoin and USD were also discussed. MetaQuotes Releases Build 600, Sending EA Developers, Traders and Brokers into Disarray – Build 600 contained a major update to the MQL 4 coding language that is the foundation of the platform’s automated trading and custom indicator development system. 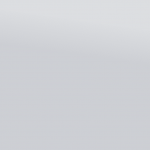 With the update, MQL 4 became closer in language and functionality to MQL 5. 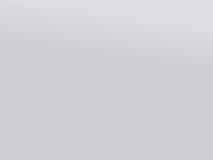 According to the firm, existing MQL 4 files built previous to the update would continue to operate correctly. Dozens of commenters found that to be false. In response to user problems, MetaQuotes released two new updates, build 603 and 604. Based on feedback among programmers on MetaQuotes forums, the updates corrected some compatibility issues but others still remained. As such, many have still been forced to use the standards of the new MQL4 language and recompile their EAs and indicators. While this provided a solution, it was an extra hassle for developers, many of whom felt that they had been squeezed into a forced upgraded. Dozens Fired from cTrader – After receiving multiple reports of massive layoffs, Forex Magnates confirmed that Spotware Systems, developer of the cTrader platform, went through a round of restructuring. Prior to this development, the FX software developer had employed just under a hundred people. Speaking with Forex Magnates, Ilya Holeu, the managing director of Spotware Systems, said that despite the firings the company remains a big enterprise and that the core of the business has not been affected. FXCM Pays $16.9 Million in UK for Asymmetric Slippage – FXCM reached a settlement with the FCA for a total of $16.9 million in fines and compensation to be paid. As detailed by FXCM, the investigation was in regards to assymetric slippage policies that the broker had in place prior to August 2010. Before trading-conditions changes were applied in 2010, customers were not receiving price improvement in the event that FXCM’s liquidity providers executed their orders at a price better than anticipated. However, FXCM clients were still vulnerable to negative slippage. 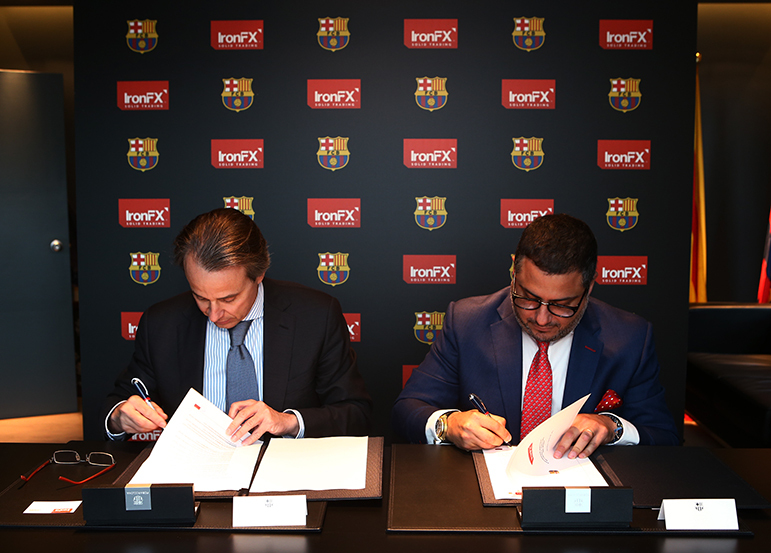 IronFX Pays Nearly Three Million Euros to Sponsor FC Barcelona – IronFX agreed to pay nearly three million euros for a sponsorship deal with the Spanish football club FC Barcelona so that the broker could use the club and players’ images in its advertisements anywhere in the world, other than Spain. The move ignited a fierce debate with many readers asking if such a mass marketing approach would ever actually be beneficial enough to cover the costs and not just become a net loss for IronFX. High Frequency Trading: Analysis of an Industry Game Changer – As financial regulators around the globe were panicking in the aftermath of the high-frequency trading scandal raised by the release of Flash Boys, Victor Golovtchenko offered a review of the subjects raised by the influential author. At the same time, CME and CBOT were being sued for allegedly not providing real-time market data. In reality, the CME and CBOT had merely been following regulations outlined by the SEC regulatory framework. HFT entities do not need to buy any order information from the exchanges, all they need to do is “probe” the market with a small sized order, which would be enough to give them information about the order flow direction. 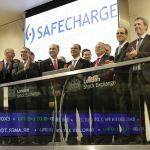 SafeCharge IPO – Stocks of the global payments-solutions provider specializing in forex brokers and online gambling sites started trading on the London Stock Exchange Alternative Investment Market (LSE AIM). SafeCharge received a market capitalization of approximately US$400 million at the placing price. Before the IPO, the gambling software tycoon Teddy Sagi held 97.1% of the shares of SafeCharge, founded in 2006 by ongoing Chief Executive Officer David Avgi, who owned the remaining 2.9%. After the IPO, JPMorgan Asset Management (UK) Ltd. owned 6.25% of SafeCharge and Henderson Global Investors owned 5%. 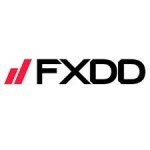 FXCM Emerges to Acquire FXDD US Retail Client Base – Amidst rampant speculation at the time surrounding the possible deal between FXDirectDealer (FXDD) and one of two possible US online FX brokers, Forex Magnates reported that FXCM concluded a deal to absorb FXDD’s client accounts. The acquisition of FXDD by FXCM came as little surprise, as the hypothesized acquisition of FXDD had been narrowed down to either FXCM or OANDA Corporation. Infamous UK Short Seller behind Plus500 Stock Drop – Forex Magnates discovered that British stock commentator Simon Cawkwell, known as “Prophet of the Plunge” and “Evil Knievil” by the British media, sent an alarming message to his tipping service subscribers just before a 13% decline. 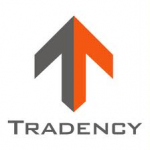 Japanese Broker Invast Acquires 15% of Tradency Shares – Tradency, the technology developer behind the popular Mirror Trader copy trading platform and provider of advanced services to financial institutions, announced to Forex Magnates the conclusion of a capital and business agreement with Invast Securities Co. Under the agreement, Invast became a Tradency shareholder (14.99%), and the two companies were to develop together the next stage of Invast’s Mirror Trader (ST24) system and service. 24option Signs Agreement with Juventus Football Club – One of Italy’s leading sports teams, Juventus, signed a partnership agreement with binary options firm 24option. The agreement was for over 24 months and involves LED stadium advertising and hospitality. The two firms agreed to a two-year partnership which is to run until the end of the 2015/2016 season. According to a person close to the matter, the partnership includes a number of activities that aim to enhance the broker’s branding and sales outlay. 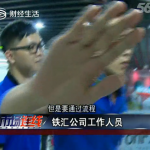 IronFX Grilled on Chinese TV by Affiliates – A Chinese TV show called Market Wired Shenzhen on the Shenzhen City Finance & Life channel aired a 20-minute investigative report on the operations of the broker IronFX in China. The journalist said his investigation had found out that IronFX didn’t have the permit to execute international securities, foreign currency trading or equity trading in mainland China. Forex Magnates spoke with IronFX about the report and it confirmed to us that IronFX as a company is very careful and obtains legal opinions when entering a new region. The story led to a torrent of comments about the broker. Monex Slated Terminates MT4 Service, All-in on Tradable – Japanese FX stalwart Monex Group had announced it would be terminating its service for the MT4 platform by the end of October, having shifted its focus and backing behind Tradable’s platform. Monex went live just over a month before with Tradable’s platform, as first explained to Forex Magnates by Toshihiko Katsuya, president at Monex FX. FXCM Introduces Raw Spreads, Adopts an Agency Model – One of the leading providers of foreign exchange and CFD trading services worldwide, FXCM announced that its US subsidiary, Forex Capital Markets LLC, was introducing a new retail FX pricing model. Clients of FXCM in the US would get lower spreads across the board with markups, which were previously included in the spread, now displayed as commission. FXCM Acquires Retail Trading Accounts from IBFX’s Australian and US Firms – Consolidation in the retail FX market continued as FXCM reported the acquisition of trading accounts from IBFX. The US-based firm acquired retail accounts at two separate divisions at IBFX. The moves came on the back of difficult trading conditions for brokerage firms amid record low-volatility as volumes and margins declined. IBFX, an entity within the Monex Group, sold its retail MT4 accounts under its US and Australian firms. OANDA Shuts down Currensee’s Trade Leaders Program – Leading multi-asset financial services firm OANDA reported that it will be ceasing operations of its social trading solution, Trade Leaders Program. The firm issued a note on its website stating that the changes came into place on the back of a strategic review. 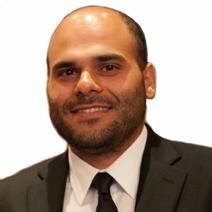 The firm joined the social trading arena in September 2013 after acquiring Currensee, a specialist social trading solution provider. GAIN Capital Purchased City Index for $118 Million – GCAP entered into an agreement to acquire FX, CFD and UK spread-betting firm City Index Ltd. for $118 million. The new deal would effectively forge a streamlined entity in online trading, which would encompass both GAIN Capital Holdings’ FOREX.com and City Index’s marquee CFD and spread-bet brands. In addition, the combined entity would utilize pro forma client assets of approximately $1.2 billion, coupled with trailing twelve-month revenues and adjusted EBITDA of $462 million and $61 million, respectively. 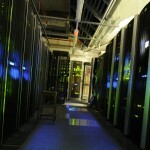 Numerous Brokers Experience Serious Delays Due to MT4 Server Vulnerability – According to information obtained exclusively by Forex Magnates, an attack by a single user of one of the brokers connected to PrimeXM resulted in the company’s MT4 server suffering severely, with customers of more than 20 brokerages connected to the server experiencing delays between 10 and 15 seconds. The event revealed a potentially disruptive structural weakness in the MT4 trading platform which resulted in several brokerages delivering very poor service to their customers. Coincidentally, the disruption happened during the four most actively traded hours in October. Losing Clients Wreak Havoc at Shanghai Money Fair – The Chinese media once again set out to warn the local public of the perils of forex trading, this time as a direct response to an industry event taking place in the world’s most populated country, whose lucrative potential attracts many western players. The broadcast presented traders who attended the 12th Shanghai International Money Fair, an industry event in which personal investors account for roughly a third of the visitors. Protesters claiming to have lost millions of RMB worth in trades were interviewed, accusing their brokers of manipulating them into incurring massive losses. 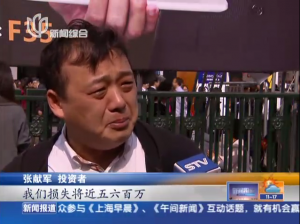 One of them, confiding that he had personally lost a million RMB, burst into tears on camera. 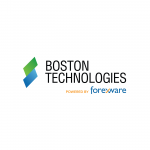 Kevin Millien Challenges Boston Technologies & Forexware in Court – Boston Technologies co-founder and minority shareholder Kevin Millien filed a preliminary injunction against former BT CEO George Popescu, BT, Currency Mountain Holdings, Forexware and Emil Assentato. After successfully obtaining an injunction order from the Belize court and announcing his intention to sell his minority stake to the CFH Group, Mr. Millien decided to proceed defending his interests back in the US. 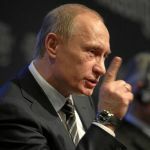 Extreme Russian Volatility Forces Brokers to Limit Ruble Leverage – Retail FX brokers were notifying their clients that trading conditions on ruble pairs were tightening considerably. The brokers were forced to take these risk management measures, limiting maximum margin or widening spreads, due to the recent extreme volatility in the Russian ruble. The Bank of Russia hiked rates overnight to a record high of 17%, sending the currency into another wild ride.